At any given point, there are millions upon millions of calls to action deployed all across the internet. There are certainly many different strategies at work and a variety of different reasons as to what the calls to action are designed to do, but the overall strategy of a call to action is rather universal. As a result of this, many elements that are tied into calls to action can be observed and improved upon in order to deliver better results. For those brands and projects that rely upon constant engagement in order to get the word out, a poorly planned call to action can lead to disastrous consequences for an event, promotion or product. If you want to improve your campaigns without tons of laborious work involved, then continue reading to find out how you can augment your CTA performance in no time at all. Whenever you put together a call to action, it is tempting to elaborate upon all the details and benefits that will be received as a result of engaging in the desired way. Unfortunately, too many calls to action focus on this element and make the CTA appear to be more of an advertisement or full-sized web page than an actual brief on the merits. Users want to quickly be able to ascertain what they will gain from engaging with your CTA and expect there to be a seamless process in which to do this. Whether you are pinging tools or products to your readers, you can improve your response rates by ensuring that benefits are summarized (bulleted, preferably), that the desired action is clearly conveyed and that any additional questions can be answered via a FAQ link. 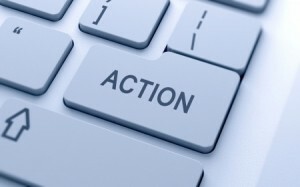 Any call to action is, by definition, designed to engage people and motivate them to act. You will quickly find out that generic descriptions and bland text will not accomplish this goal. One of the best ways you can overcome this problem is to convey action in your descriptions and pitches. Some of the most successful calls to action utilize plenty of action verbs and phrases in order to stimulate the desire of readers to learn more or to encourage them to act outside of the platform. You must also be specific in what you expect from your visitors – if you do not explicitly define the action, then they will be much more likely not to engage. What better way to draw in attention to a segmented call to action than a beautiful button or high-resolution image? These sub-conscious triggers can help set the mood for any call to action, even before an individual has read through it. Anyone who is pinging tools, services or a plea for charitable involvement can boost the likelihood of engagement by grabbing the attention of readers and eliciting a positive connotation before the pitch is delivered. Buttons also work well as a way to further interact or initiate the call to action; whether you want your readers to “click to find out more” or “commit to our cause”, these aspects of a CTA can significantly boost performance.